The client has the right to recede from the purchase within 10 working days beginning from the day of the reception of the package and up to that the articles are still under original conditions in comparison to the moment of the consignment. The expense of the expedition are to load of the client. From the time of shipment we are not responsable directly in the case of theft, loss or damage of the goods, because when we consign the goods to the courier, it will travel under his responsibility. Therefore we recommend to our customers, to request an insured shipment (with a surcharge) to safeguard the purchased good. In order to obtain a refund if the external packaging shows evident signs of damage or tampering, we invite the customers to accept it with written reservation. 1) As before thing, if you are not stick recorded, you can do going on the link REGISTRATION , you insert your data and confirmation the registration. 2) At this point you can proceed with the order. 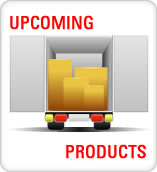 After having effected the search of the models of your interest you can order them. click on the symbol of the trolley, the space reserved to your order will be recognizable with a background of green color. 3) An order can be of one or more pieces, after having inserted some articles in the trolley you can calmy effect other searches and your order will remain in the foreground always in manner that remains at withing reach for to add other piece or remove. In bottom to the order there is the total price in manner of always have it under the control. 4) Finished the order you can insert e-mail and password with which you are record yourself on our site and to go on the button "Continuous." 5) In the second phase it needs to specify how to make the payment and to confirm or to change the address of expedition, is most Important That Press The andress specified there is Always Someone for Withdraw The Package, then click on " Sends Order" to confirm everything. 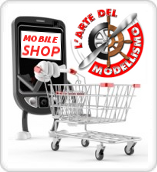 6) within 1 or 2 working days L'Arte del Modellismo will respond to your order giving confirmation on the availability of the articles and however telling you if some article weren't available, in the same e-mail you will find the instructions of payment among which the link to pay with the credit card. Are open every day from Monday to Saturday from 9:30 to 13:00 and from 17:00 to 20:00. 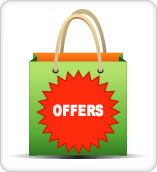 All the prices indicate on our site are IVA including. This procedure of payment is allowed Only for the on-line orders, the approved card is POSTE PAY.